Living machinery from ship. Photo credit: St. Lucie County Artificial Reef Program. Progress continues on the preparation of the 180-foot freighter, Voici Bernadette, for artificial reefing on St. Lucie County’s deepwater artificial reef site. 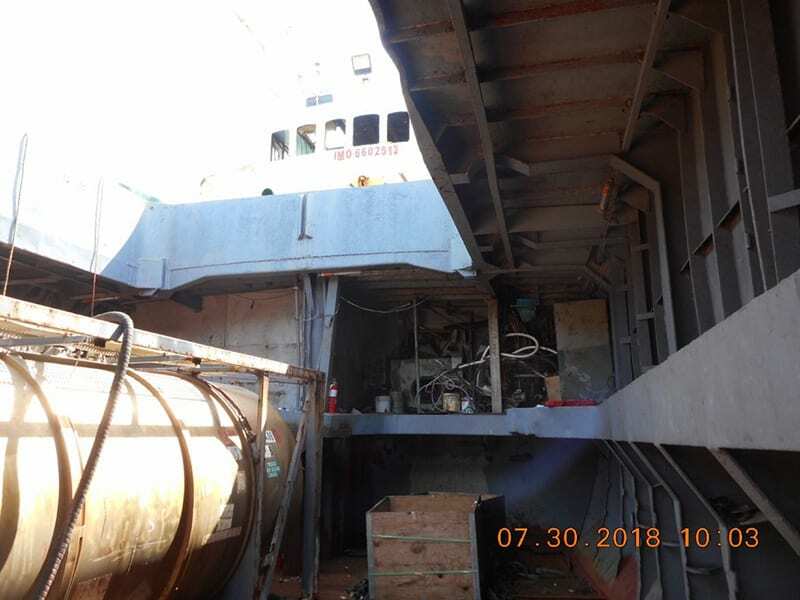 McCulley Marine Services has subcontracted Marine Environmental Services to clean the vessel and abate potential environmental contaminants. The first step in the process was the removal of all flammable liquids, such as bulk fuel and hydraulic fluid. 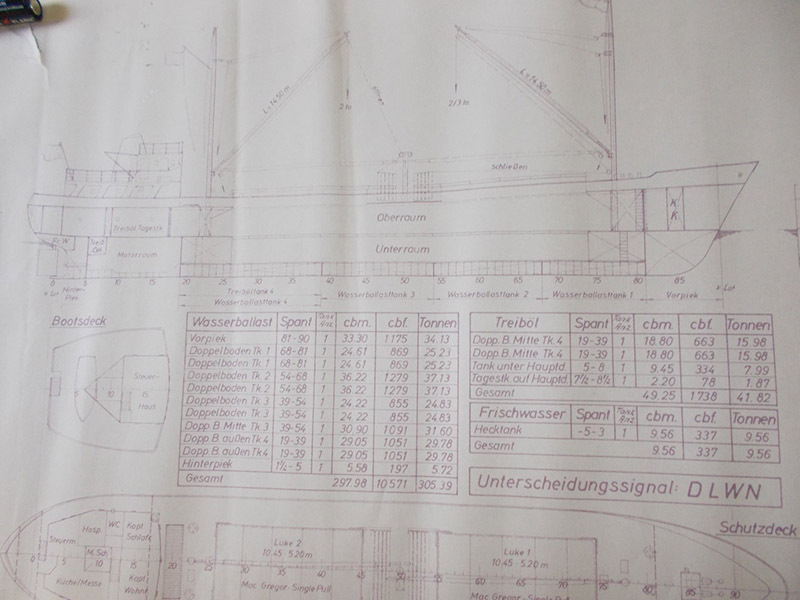 This is important due to the necessity of torch cutting of bulkheads. Tanks and lines were drained first into a reservoir that had been hoisted into the cargo hold. This reservoir will be hoisted out of the ship when fluid removal is completed, preventing any possibility of contamination to the port or surrounding waters. 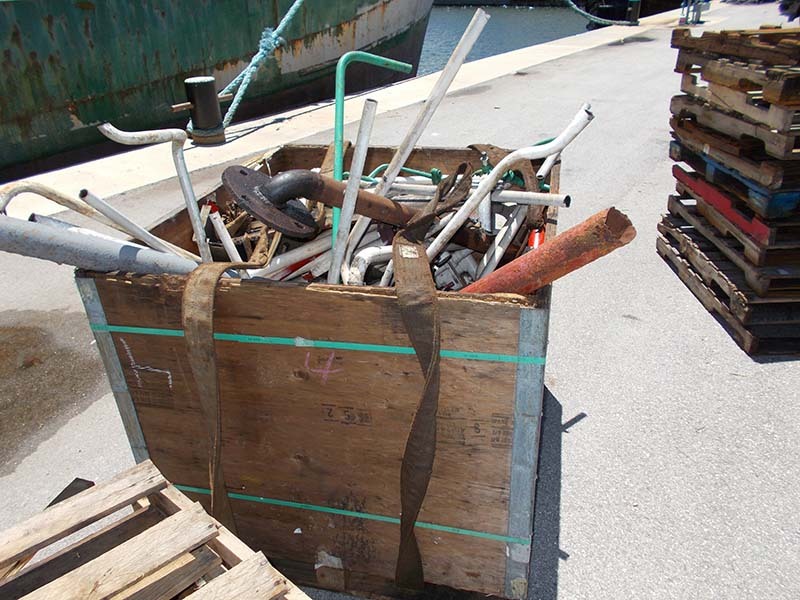 The bulk liquids were drained from engines; pipes were cut and, because of the possibility of hydrocarbons left in the pipes, the pipes were placed in a wooden crate before lifting the crates onto the port and transporting them from the port property immediately. The next step in the preparation for reefing is steam cleaning. So far, all seven of the fuel tanks have been steam cleaned. 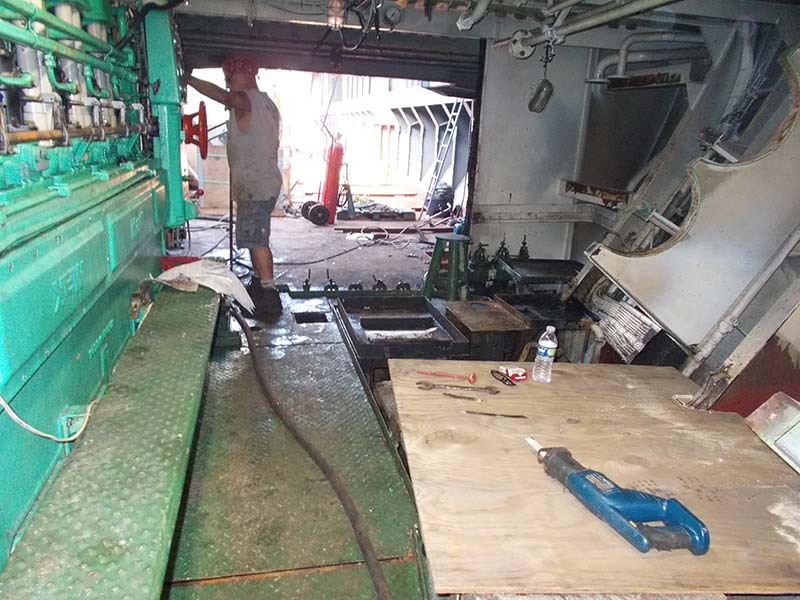 In addition, the rudder room and anchor room have been steam cleaned after hydraulic fluid was drained, followed by cutting and removal of hydraulic lines. Once tanks are clean and hydrocarbon-free (as measured by a photoionization detector), torches can be used to cut away bulkheads. A hole has been cut in the forward bulkhead to the engine room in preparation for removing the engine. The engine, compressors, and generators will be pulled to the cargo hold with chain lifts and hoisted out by crane. The resulting passageway will allow oxygenated water to flow over the reef, creating additional fish habitat, and continuing a swim through for divers that starts at the wheelhouse. 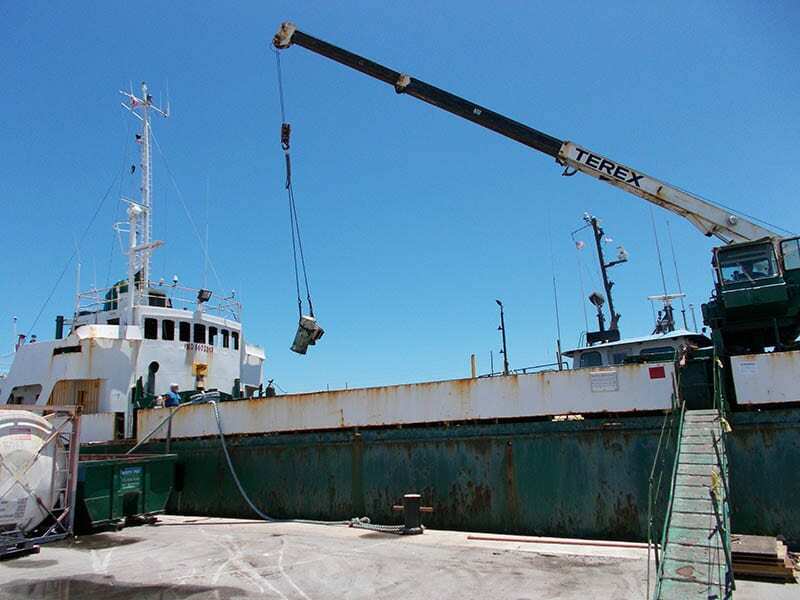 Concurrent with work to remediate potential environmental concerns, MMPS Environmental has salvaged memorabilia which will be auctioned to defray the costs of cleaning and deploying the Voici Bernadette. These items will either be auctioned or become part of the sponsorship deck. MMPS Environmental is also providing memorial plaques to recognize loved ones or businesses. Proceeds from the plaques will also be used to help deploy this vessel and additional vessels. Cleanup of floatables throughout the ship has already been started by McCulley Marine Services. Five-hundred wooden pallets have been removed from the Voici Bernadette and two 20-yard dumpsters have already been filled with other materials such as additional wood, plastics, fiberglass insulation, and trash. 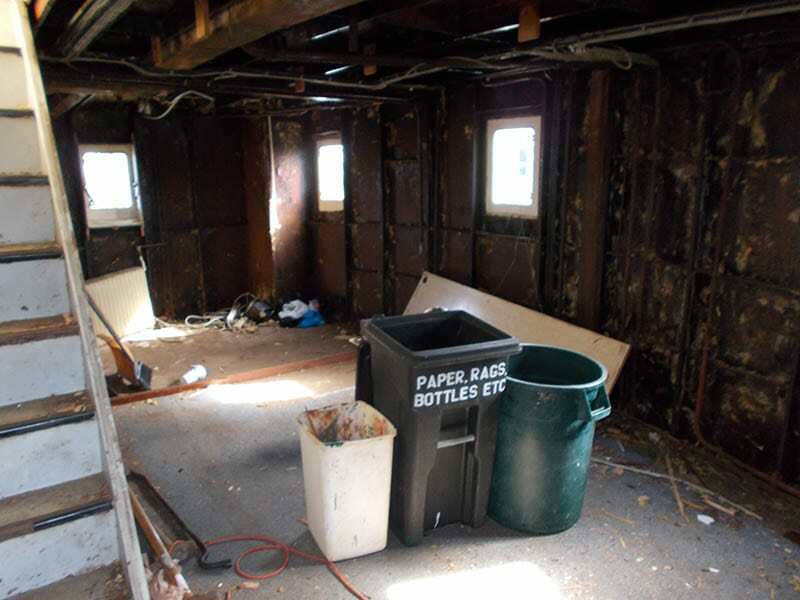 Furniture has been removed from the wheelhouse, captain’s quarters, and mate’s quarters, creating cavern habitat for Warsaw grouper, gag, and other large groupers. Brass windows from the wheelhouse and portholes from the lower decks have been removed, creating additional areas for oxygenated waters to penetrate the vessel. The Voici Bernadette will be both a recreational reef and a conservation reef. Divers and anglers will be able to use the reef along with both pelagic fishes (i.e. sharks, jacks, baitfish) and demersal fishes (groupers, snappers). Other listed species, such as loggerhead turtles, are expected to utilize the reef at the proposed depth. Both fishing and conservation organizations including the 1) Coastal Conservation Association of Florida, 2) Florida Sportsman, 3) Fort Pierce Sportfishing Club, 4) Snook and Gamefish Foundation, 5) West Palm Beach Fishing Club, and 6) other individuals, have given their support for the project. U.S. Congressman Mast’s office has also toured the vessel to see what assistance their office might provide. For more information on the St. Lucie County Artificial Reef Program, the deployment of the Voici Bernadette, memorial plaques, items which are up for auction or to get further information on sponsorship of the ship, contact Jim Oppenborn, St. Lucie County Coastal Resources Coordinator, at [email protected] or (772) 462-1713. Pipes from ship. Photo credit: St. Lucie County Artificial Reef Program.